Beggars All: Reformation And Apologetics: Is Tradition God-Breathed in the Roman Catholic Church? Is Tradition God-Breathed in the Roman Catholic Church? Over on the Catholic Answers Forums I was part of an interesting exchange on the relationship between Scripture and Tradition. A link was posted to a review of Louis Bouyer's The Spirit and Forms of Protestantism. 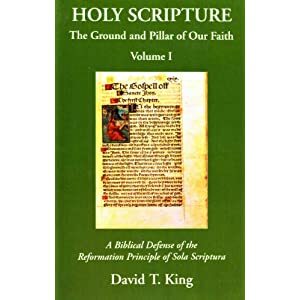 The article explains that Bouyer believed that sola gratia, sola fide, and sola scriptura were on a certain level, correct doctrines for the Roman Catholic Church. How Bouyer explains this is not exactly what I as committed Protestant mean when I use the same terms. I can appreciate that rather than the usual negative polemical campaign against Protestantism Bouyer is trying another way: taking distinctly Protestant slogans and attempting to synthesize them into Roman Catholicism. On the other hand, I'm leery of attempts of taking historic terms and redefining them so as to fit into another system of thought (Norman Geisler on Calvinism, anyone?). The debate, as I understand it, is that the Roman Catholic side finds the "Word of God" in another form besides Scripture (Tradition, the Magisterium). In the discussion I mentioned I was unsure what was meant above by "the Word of God can be communicated in a non-inspired, yet authoritative form as well." My genuine concern was whether or not the article wanted to go so far and say infallible Tradition is not divinely inspired. If so, they've set up a situation in which Tradition (and any infallible pronouncement from the Magisterium) is infallible but not divinely inspired. The Catholic Church teaches that the Bible alone is the inspired word of God, where inspired refers to the action of the Holy Spirit in guiding the human authors to write what God wanted written, in the precise way he wanted it written. Sacred Tradition, though also the word of God, does not come to us in an inspired (or "God-breathed") form (cf. 2 Pet. 3:16). Theologians talk about sacred Tradition being "assisted" by the Holy Spirit in the life of the Church, to be sure, as they do the teaching ministry or magisterium of the Church. But only Scripture has God as its primary author and in that sense only Scripture is divinely inspired. 1. 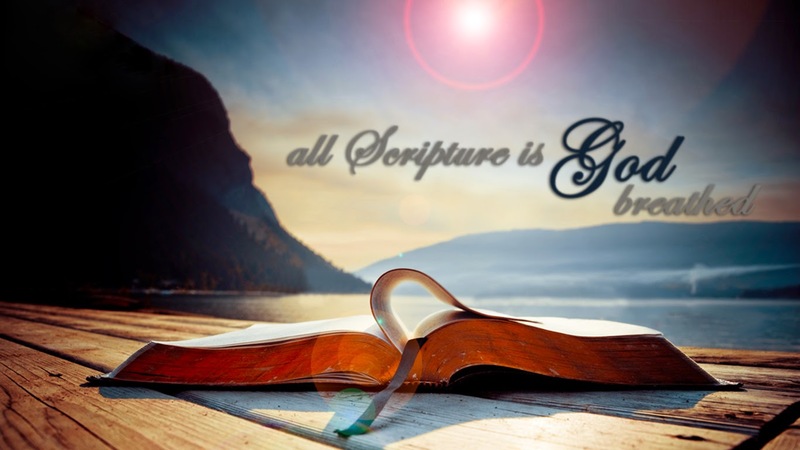 There is only one inspired Word of God: the Bible. 2. There is another Word of God called Tradition which is not inspired by God but is "assisted by the Holy Spirit." 3. Only the Bible has God as it's primary author, and only if something has God as it's primary author can it be described as inspired. 4. Tradition (and the Magisterium) are the primary authors of themselves with God assisting, therefore if God acts as an assistant, he is not inspiring either because He is not the primary author. Now if I've got this position correct, the popular Roman Catholic proof-text for Tradition, 2 Thes. 2:15 would imply that what was passed down by word of mouth was not God-breathed (or inspired by God), but rather assisted by the Holy Spirit. I don't consider myself any sort of expert on the relationship between Scripture and Tradition in the Roman church, but in what I have read, I don't recall ever coming across a dogmatic pronouncement making a distinction between a Word of God that is assisted rather than inspired. The crucial phrase (as I see it) from Mr. Akin's quote is "Theologians talk about sacred Tradition being 'assisted' by the Holy Spirit in the life of the Church...". Had the position been a perspicuous dogmatic declaration (if there really is such a thing), I don't think Mr. Akin would've used the word "Theologians." It appears to me the position being put forth is an interpretation of (at least) Dei Verbum, and perhaps some other official Roman statements. There is not a consensus opinion as to the exact content of Tradition, the precise relationship between scripture and Tradition, and exactly how the vehicle of Tradition functions and becomes known by the church. Rome’s official statements do not explicitly define whether Tradition is the second of a two-part revelation (known as partim-partim), or if both forms of revelation contain the entirety of God’s revealed truth. Does Tradition function as the interpreter of scripture, or is it interpreted by scripture, or do they interpret each other? Is the content of Tradition confirmed by historical scrutiny, or is it an unwritten opinion only confirmed by a movement within the developing church? Vatican II commands Catholics to accept and honor something quite ambiguous. One wonders if individual Catholics attempting devotion and reverence toward Tradition actually have the same or a differing concept in view. While dogmatic statements from official Roman Catholic councils are put forth to clarify truth, their statements on Tradition have done quite the opposite. Doesn't the CatofCatCh speak authoritatively to this, particularly 97 & 100? 97 “Sacred Tradition and Sacred Scripture make up a single sacred deposit of the Word of God” (DV 10), in which, as in a mirror, the pilgrim Church contemplates God, the source of all her riches. 98 “The Church, in her doctrine, life, and worship, perpetuates and transmits to every generation all that she herself is, all that she believes” (DV 8 §1). 99 Thanks to its supernatural sense of faith, the People of God as a whole never ceases to welcome, to penetrate more deeply, and to live more fully from the gift of divine Revelation. To be sure what Rome gives with one hand it many times takes with the other, but this seems clear enough. It doesn't clarify that which I wrote about in this entry. There's still wiggle room depending on which view of tradition one takes. Guy: your comment is not relevant to the inspired / assisted distinction. James, where is that blueprint? SSPV types see V2 as quite ambiguous in many ways, but as with Scripture, the reason amorphous Tradition can be ambiguously defined is because what autocratic Rome says is the supreme authority and Voice of God, at least in her eyes. Thus she can channel the Assumption out of this ecclesiastical ectoplasm, though it lacks Scriptural testimony and even from early tradition . Infallibility must be carefully distinguished both from Inspiration and from Revelation. The position then is that the truth of Roman tradition is without error, even if the words are not inspired of God. It is also held by some RCs that oral tradition only refer to it in its oral form, not its written form. And given that Jn. 21:25 is invoked to support how much truth remains in oral tradition then Catholicism has a virtual infinite well from which to channel doctrines out of. Even pagans can innately know the essence of the Law, (Rm. 2:14) and certainly we affirm that there is more information than what is contained in Scripture, as Scripture reveals this, (2Cor. 12:4; Rv. 10:4) but such is what sola ecclesia cults as Mormonism appeal to in order to justify their extra Biblical "revelation." That some of what is written in Scripture first existed oral form as the word of God is affirmed by Scripture itself, but the issue is what upon which basis are Truth claims established as doctrine? The "same ground" argument that RCs invoke means both wheat and tares must be equal also, the baby and the bath water. The answer for a RC is that there church is the supreme authority which infallibly determines what both Scripture and Tradition consists of and means. And which is invoked to support the church, which cannot be wrong since she has infallibly decreed that she is infallible. But what we know from Scripture is that God supernaturally established men such as Abraham and Moses, and their faith, as being of God. Moses did not have standing with Pharaoh and the Israelites because of the approbation of men. Yet as the word of God is normally subsequently written, thru Moses God gave the express revelation of the written Law, to which more complimentary Divine revelation would be established as being so in conflation with the Law. And which itself testifies (Lk. 24:27,44, etc.) to writings of God being recognized and established as being so, and like men of God, this being essentially due to their unique and enduring heavenly qualities and attestation. The Scriptural basis for authenticity means the church can only claim to be the living God insofar as manifest that it is, as did the early church, versus its institutional counterpart that relies upon the premise of her own veracity that interprets herself as having historical continuity and being that of the NT church, despite her multitude contrasts. Guy, correct, you don't understand my point. Rather, you are rashly assuming that you are the judge of whether a contracepting Catholics is in good faith, which is the function of the magisterium, and which, as per Ja. 2:18, reveals what it means by what it does. And as it treats such as members in life and in death, and without any real discipline, which is lacking overall with more liberal members, and which are the clear and consistent majority of RCs, and even publicly known promoters of such, then you can hardly say Rome judges them as you do. Unless actions do not interpret words and reveal what one believes, as Scripture teaches they do, or if you support a church that does not actually discipline such disobedience. Its your church and these are your members and you must own them. the "contracepting faithful" could not represent the sensus fidelium because they are breaking with the constant Tradition of the Church. IOW,not only do we have magisterial teaching on this but previous generations of the faithful did not contracept. There you go again, acting like the Prots and SSPX that i presume you criticize. Rome has demonstrated by V2 and other modern teaching that she can interpret herself in a way that is contrary to how past teaching as understood. Tell Boniface 8 that baptized Prots are born again brethren. Or Tell Pope Innocent IV that suspected heretics are not to be tortured. Or Pope Innocent III and the Ecumenical Fourth Lateran Council that are not to exterminate the heretics. The latter two may not be infallible teaching, yet they constituted obedience to the pope, and disobedience was far more weighty than for contracepting Catholics. Doctrine develops. It does not revolt against previous doctrine. Rome's doctrine develops to fit her desires, even by her Development of Doctrine, and as she is the autocratic judge of which then it cannot be allowed to revolt against previous teaching and doctrine, regardless of how evident some may appear to do so. Its really quite a system. "A WOMEN"? Grammar and Spelling cop Steve ain't gonna like this! Where did you dredge this article up? That is a rather desperate recourse to list exposing the specious nature of Rome. Is this in response to what I asked you about "honest dissent in the Church"? No sir. Never said "honest dissent" anyway but "valid dissent" and which was on a different thread, and which has been already clarified. Assuming this tome is in response to what I asked you, I cannot possible respond to all of it. did select the final sentence though..
Escaping most of it leaves you with one chance: let see how you do. You do know that the same Pope Pius IX who made that decree on Papal Infallibilty had already made an infallible decree 20 years or so prior? Yeah, on the Immaculate Conception ( which had also already been believed for centuries ). You are flailing. That the geocentrism was believed for centuries (and thus some RCs contend for it today as being RC teaching), but which does not make it True. Her special assumption is not promised in Scripture and is lacking even early testimony. In addition, there was much dissent about PI leading up to and during V1, but in any case Rome did infallibly declare that it was infallible, regardless of how far back it applied it when formally decreed. Actually, it was Jesus who said the Church would be infallible. He made Peter the final court of appeal in His infallible Church. That means Peter must be infallible too, eh? Actually, you are once again engaging in argument by assertion and begging the question, presuming the very thing that needs to be proved. Evidently you cared not to read what i wrote, as the reality is that your extrapolation is based upon false presuppositions. In short, God never needed a perpetual infallible magisterium to provide and preserve Truth, apart from wholly Divinely inspired writers (which "infallible" popes are not), and for correct discernment of both men and writers as being of God, which could even in dissent from the stewards of Scripture. But see all that i wrote. Check out Luke 22 where Jesus tells Peter he will buttress up the other Apostles when Satan tries to sift them. Which means Peter could deny the Lord before men, and act hypocritically regarding the unity of the body, whom he was commissioned to strengthen, but that his faith would overall persevere. In Is 22:22 we see that that office of Key Keeper to be dynastic. That means there will be successors. What you see is what Rome wants, yet where is this infallibly taught? Or even in the CCC? But it is read in Mass every 3 years along with May. 16:18,19 so someone thinks it is relevant. However, while its language and concept of a key and authority is used in Mt. 16:18,19, this does not make it a prophecy of Peter, and much less means there necessarily will be successors. Whether this refers to Shebna or Eliakim is irrelevant, as it means that being a nail that is fastened in the sure place does not necessarily denote permanency, as it certainly did not here. Thus neither Eliakim nor Peter are shown having this manner of fulfillment, nor does it necessarily denote successors (Christ has none Himself, but took over from the Father). You either take Jesus at his word or you don't. Indeed; His word, not whatever Rome or RC presume to make it, as is the case here. Either his Church fell away immediately ( or some time later ), proving he was not able to preserve it or it id not fall away and is still here today. The church that Christ promised to preserve and is married to His body, which alone consists of born again children of God, into which the Spirit baptizes, (1Cor. 12:13) even before they knew of "a church," which cannot be said for particular churches thru which that universal body is visibly if imperfectly manifest. Thus the one true church never ceased, while even your own scholars admit that before the Reformation there was an almost entire abandonment of equity in ecclesiastical judgments, and was severely lacking discipline in morals, and erudition in sacred literature, and reverence in divine things, so that true religion was almost extinct, and thus the true Church had to be sought outside the institution. But as with the house of Judah, God always preserved a remnant, even by raising up men from without the established magisterium to reprove it, and thus the church was built "upon the foundation of the apostles and prophets, Jesus Christ himself being the chief corner stone," (Ephesians 2:20) - all rebels for God! But it follows that since "the Church is essentially an unequal society, that is, a society comprising two categories of per sons, the Pastors and the flock...the one duty of the multitude is to allow themselves to be led, and, like a docile flock, to follow the Pastors." - VEHEMENTER NOS, an Encyclical of Pope Pius X promulgated on February 11, 1906. And what one truly believes is manifest by what they do, and your leaders can hardly be said to see contraception RCs, which by far are the majority, as engaging in a intrinsically evil act. Unless you want to sell us on a church that does not discipline members who engage in such. Of course, that is your church and you must own it and the proabortion, prosodomote promuslim pols she counts as as members in life and in death, sending a message to the rest. Moreover, Torture is now taught as being intrinsically evil, but was sanctioned by popes in the past. RC rulers were also to be was also be excommunicated for not exterminating the heretics, while laymen were to be for engaging in public debates about doctrine and faith and morals. So why follow RCs pastors now? Blame God. In the Bible the Ark of the Covenant was venerated. Yes? That and the seraphim (and brazen serpent) were items that God commanded them to create, which was not a violation of His law "Thou shalt not make unto thee any graven image" for religious worship. Joshua bowed down before it and David danced before it. That was not bowing down, or prostrating, and making supplication to it as if it had Divine powers. Speaking of dancing before the Ark, John the Baptist danced in his mother's womb before the "Ark". Irrelevant here to anything i said, as is (for what its worth to you) that writings of Augustine, Hippolytus, Irenaeus and Victorinus have the Ark as being other than Mary. As i have said before, one would have a hard time in Bible times explaining kneeling before a statue and praising the entity it represented in the unseen world, and as having Divine powers and glory, and making offerings and beseeching such for Heavenly help, directly accessed by mental prayer. Moses, put down those rocks! I was only engaging in hyper dulia, not adoring her. Can't you tell the difference? If you visit the shrine of the miraculous ( made by God or angels )image of Our Lady of Guadalupe in Mexico...This image is not made by human hands. Check it out online. So say the worshipers, while the magicians duplicated the first 3 miracles of Moses. Do you consider Catholics to be "brothers in Christ"? Irrelevant as the issue was that Rome manifestly can interpret herself in a way that is contrary to how past teaching was understood. But for the record, RCs interpret EENS different ways. Some hold it excludes exRCs as me, other that it means Prots must convert, if informally do be saved, while other, like the pope, see them as brethren now. Likewise they differ on interpretation of canon law as regards liberal RCs. I am debating another RC now that partly rejects V2. His RC sect is the true church. Okay, "VALID" dissent from the Church is not really valid considering that Christianity is a REVEALED religion. You see, PBJ, you guys have no way of distinguishing between valid dissent and full blown schism, development of doctrine and old fashioned heresy. We do indeed, as did Israel before Rome presumed an infallible magisterium was essential for this, and for determination, transmission and preservation of Truth. then you have just invalidated the NT church, as expected. Thanks for so may yummy morsels to enjoy. You really think you warrant dialog with an infantile arrogant attitude as that? Peter was overseer over the entire Church. James' admonitions against blood, strangled meats and Levitical lines of consanguinity and such did not apply to all Christians for all time. And was the first to preach to the Gentiles (outside the half-Jew and half-Gentile Samaritans), using the "keys" to the kingdom of God, by which souls enter it, (Col. 1:13) and this first to address the Acts 15 assembly. That as said, Peter was the non-assertive leader among the 12 there is no doubt, but whose credibility rested upon Scriptural substantiation in word and in power, not the premise of assured veracity as per Rome. Evangelicals would esteem such a man. But in contrast to what we see in Scripture, nowhere is Peter manifest as the supreme infallible head to whom all the church looked to. As was shown to you in this post. I did not say Peter chose Matthias unilaterally. I said that he unilaterally decided *someone* would be chosen to replace Judas. By a non-political OT method that Rome has never used, and would have eliminated the political choices that were made. Or do you think papal elections are inspired of God or infallible? Nonsense. Most of Paul's letters were already published, and saw earlier overall acceptance as Scripture accepted before the disputed books of Hebrews, 2 Peter, James, 2 John, 3 John and Revelation. It has late attestation in the writings of the early church "fathers," with the earliest reference to 2 Peter, appearing to be Origen. (225 AD) "And Peter...has left one acknowledged Epistle; possibly also a second, but this is disputed," (Origen 6.25.8) if perhaps not by him. the Bible doesn't show Paul to hold any higher office or authority than Barnabas. Even the pagans saw Barnabas to be the great Jupiter and Paul only to be Mars. Absurd. Paul was called Mercurius=Mercury, nor Mars, because he was the chief speaker. (Acts 14:12) which was only a pagan estimation, while for what Scripture reveals, see here . Meanwhile, Peter is never shown to be in Rome, and it utterly absent from the 26 brethren Paul greets in Rm. 16 (Phebe, Priscilla, Aquila, Epaenetus Mary, Andronicus, Amplias Urbane Stachys Apelles, Aristobulus, Herodion, Narcissus, Tryphena Tryphosa, Persis, Rufus, Asyncritus, Phlegon, Hermas Patrobas, Hermes, Philologus, Julia, Nereus, Olympas). Kaiphas the High priest who spoke by the power of the Holy Spirit (infallibly). And a donkey spoke the word of God, but neither supports the premise that they or their successors would be infallibly whenever the spoke universally on faith and morals. Nor as shown, is that manifestly essential in Scripture nor promised, regardless of RC extrapolation. Meanwhile, I read Kaiáphas = Kephas, surname of Joseph, has also been interpreted as meaning “depression http://bibleencyclopedia.info/tag/caiaphas, yet the linguistical debate on Kephas/Pertros is endless, as this CA thread examples (http://forums.catholic.com/showthread.php?t=245031&page=3). I know the books associated with them are God breathed because I have it on the authority of the Church established by Christ. Which has the same old spurious claim that one needs the assuredly infallible mag.of Rome to rightly discern both men and writings of God. how do you know the Bible you claim as an authority is not just paper and ink? According to you the church began upon unwarranted presumption. The Bible itself doesn't make the claims for itself that you ascribe to it. As a matter of fact, the Bible points outside of itself to other authorities like Tradition and the Papacy. Wrong: As said, the fact is that it is abundantly evidenced that Scripture was the transcendent supreme standard for obedience and testing and establishing truth claims as the wholly Divinely inspired and assured, Word of God. Absurd, for as said, souls discerned both men and writings of God as being so without an infallible mag. to do so. Is the Church just a collection of saved sinners who may or may not share common doctrines or fellowship with one another? The premise behind such a question does not follow what i have written, but what else is new. They must indeed share common doctrines or fellowship, else they never were born again by the gospel of grace which contains such. In addition to which are other attendant Truth, which due to share consent the modern fundamental evangelical (used to mean the same) arose to defend against liberal revisionism, including what we see in Roman scholarship, even in your own NAB bibles for decades now. And while there is division, yet also the unique unity of the Spirit (Eph. 4:3) is found among them based upon a shared Scriptural conversion and relationship with the Lord Jesus, which transcends denominational tribalism. And which is realized in both spontaneous meetings, and in shared ministry. But which spiritual fellowship i have rarely found among RCs, and which i much desired after i became born again while being a weekly practicing RC, and remaining therein for many years. And as far the unity of Rome, this is quite restricted and largely on paper, while what is and is not infallible as well as aspects of their meanings are subject to valid disagreement. Under sola ecclesia model Catholicism exist in schism and sects. And as said , which you likely dismissed, both liberal and conservative RCs appeal to V2, but differ. And a RC needs V2, as in past times obedience to the pope meant torturing and exterminating the heretics, and he want to tell his Protestants that his church does not believe in that. This means Rome interprets herself, but also that RCs interpret the interpreter. I am called a child of God by some and a lost soul by others. In practical terms the RC must look to lower levels of the magisterium to understand it. And the hearers of the word tend to look for its meaning by how the preachers of it translate it in their own lives. And guess who the most unified group of Christians are in basic Biblical values and core Truth? The reality is that while the sola ecclesia model - in which human leadership is the supreme authority based upon the premise of assured veracity - can be the easier way to unity, thus the greatest unity is seen under that model in cults. But the problem is that this was not how the NT had its unity, and means that the flock follows leadership when it errs, including in not dealing error, while Scripture alone remains unchanged. How many Jews owned their own Bibles? Not as many as today, yet owning one does not negate access, but still the preaching of NT church had the then-existing Scripture as its basis (note that even RCs debate if Trent closed the canon), even when not referencing to pagans, as was done toward Jews. God reveals Himself even by nature, and by limited revelation before Moses, whose veracity was mightily attested to. But who then wrote the more comprehensive revelation of Scripture, which became the supreme standard. Thus Peter's ref. to Scripture as the "more sure word of prophecy." Souls can be saved and grow in grace without reading or hearing someone actually reading from it, but what is preached is subject to validation by what is written. Did those NT use the Septuagint or the Hebrew text? Did they reference any of the 7 books of the Septuagint the Pharisees rejected a century or so AFTER Christ? More evidence of why you need education. Most "references" mostly refer to allusions, many alleged ones being a stretch or also seen in the Hebrew canon, and never that of terming them "Scripture," or its synonym, "it is written" or "God said" "the Law"
Also, merely referencing someone of words does not equate to the writer being inspired of God, even if it is an infallible Truth. NT writers also referenced from books Rome rejects, and even pagan authors as a SS preacher could. Do we see in the Fathers any examples of the hierarchy duking it out based on the Bible? We only have a relative small portion of what they wrote, but i am sure someone else can help you out here. I am not impressed much with the light on Scripture they evidenced from what i have seen, versus their piety. Jerome even abused Scripture in seeking to validate his unbalanced bias against marriage. Wasn't Arius the one who was in command of the plain words of the perspicuous scripture leaving the Catholics recourse only to Greek philosophy? And how it is that evangelicals have been refuting them for years from Scripture as being supreme? What do you think they have been foremost defenders of such core doctrines? I have HS education and think i could make a strong case for the deity of Chris t, by God's grace.. The success of the Arians points to a lack of regeneration and light. And their recourse to Tradition (besides Greek philosophy), though in defense of Truth, furthered the perpetuation of errors. I will scroll the rest of your posts but it seems to be pretty much just assertions that the Papacy and the modern Church is apostate or liberal. Just more question begging. Then that means all you are doing is basically scrolling, then accusing me of what i showed was the case with you, and your assertions that the Papacy and the modern Church is that of the NT. It manifestly and critically is not, though a relative few may have realized the New Birth. Let's put our thinking caps on. your foundational belief of "Bible Only" was a physical impossibility. Indeed let's put our thinking caps on. 1. RCs had not assuredly true complete canon, this debate continued down thru the centuries an right into Trent. 2. "The Bible only" does not mean only the Bible can be used for understanding and teaching, but doctrines must be come from it and warranted by it. And as explained, contrary to Rome, the integrity of the NT teaching did not rest upon the premise of assured veracity, but upon Scriptural substantiation in word and in power. The above pertains to the supremacy of Scripture, which is abundantly evidenced as the "more sure word." As for sufficiency, that is always been limited in the formal sense, but writings of God were provided and recognized as being so, an which was with an AIM, they materially provided for additional complementary writings being provided and recognized as being so, in conflation with what preceded it. Some RCs allow more could hypothetically be added, . 3. A SS type preacher could even be stranded without a Bible, and in a place without one, and who were even illiterate, and just preach from what He knew from memory of the OT and gospel accounts, and still be an instrument of salvation and grace to others. God confirming the word with miracles should be sought and expected though. However, He would preaching a God with a past, and which has given extensive communication of Himself and will, and which writings have come to be recognized as being of God, like as this preacher needs to be, that essentially being due to their heavenly qualities and attestation. Steve, EA, PBJ and Ken, please remember that Jesus set up a Church to transmit His message and grace down through the ages. But who were no more assuredly infallible than Rome is, but like those who sat in the seat of Moses, they presumed a level of veracity above that which is written, and thus were rebuked by the Lord from Scripture as being supreme (note that they could have claimed their interpretation was correct, as per Rome). Thus the Lord's rebuked of these protoRC presumptuous men also applies to Rome's errant elitists. "t does not support this straw man which RCs repeatedly parrot by necessity as part of their propaganda." Your attempted sarcasm of what is obvious, further indicts you as insolent. Go find who said that "the Bible is the ONLY thing we need to the exclusion of anything else." I disagree. I think if the Council fathers had "searched the scriptures", they would not have abrogated the rule of circumcision given to Abraham. Gen 17:13 says the covenant rule of circumcision was to be "perpetual". Wrong; circumcision was just part of the ritual laws, and it signified salvation under the Law, which included many perpetual statutes which the Scripture-based gospel abrogated under the New covenant, which the apostles (and whoever wrote Hebrews) showed by the Scriptures. The apostles in Acts 15 certainly were not ignorant of Scripture or negligent in studying it as you make them to be (in ignoring/dismissing what i showed you), and to hold that they did not make this judgment in the light of Scripture is absurd, though consistent with the superfluous place of Scripture in so much Roman reasoning. Moreover, that the coming of the Messiah instituted a profound latter-day change was seen even in the charge that "repentance and remission of sins should be preached in his name among all nations," and by Acts 15 Peter had already had his liberating vision consistent with this abrogation, and then he experienced what this meant. Furthermore, rather than being of those who do not search the Scriptures, and would simply abrogate perpetual statutes without a sound Scriptural basis, as per RC arrogance, the first thing James does, who is giving the doctrinal basis for salvation of the Gentiles by grace without literally keeping all the Law, is to invoke Scripture. This Scriptural gospel Paul was already preaching, that "by him all that believe are justified from all things, from which ye could not be justified by the law of Moses," (Acts 13:39) which meant the washing of regeneration and adoption by God not on the basis of law-keeping (though faith effects obedience unto fulfilling its intent: Rm. 8:4) or keeping the ritual laws, which included circumcision. And as Paul shows in Gal,. 5:1-4ff religious circumcision constituted submission to the salvation under the Law. While the apostles did not realize the full implications of this at first, the fact they surely knew was that there are many everlasting, forever, perpetual (‛ôlâm) statutes and ordinances, like as offering the heave offering being a perpetual statutes, and the 7th day Sabbath was a perpetual covenant. But we do not see the apostles regularly keeping either as under the Law. Therefore, that Christ had come, died and rose and provided salvation for all, that "To him give all the prophets witness, that through his name whosoever believeth in him shall receive remission of sins" (Acts 10:43) and its implications, was solidly based upon Scripture. Which manifested the latter-day realization of the New Covenant, though the fuller realization of which in the ecclesial terms of the "one new man" would be revealed and expressed primarily via Paul. Thanks be to God. Yet RCs have the apostles preaching this message as true based upon their own authority, not that of Scripture by which Christ validated His Messiahship, mission and message by, and thus the very apostles! Where does the passage say Scripture is supreme and sole infallible authority? A rebuke of corrupted tradition is not an indictment of all tradition. If all Scripture is wholly inspired (which neither tradition as conveyed by Rome or her infallible decrees can be said to be) then it is thus infallible it is not? then it is second to what? And see here (via pop up view) partial but extensive list of references to the word of God as being written and substantiating the claim that, as they were written, the written word became the standard for obedience and in establishing truth claims. Would the Bereans have been commended had they rejected Paul's message because it violated their interpretation of Scripture? How could NT believers practice SS - SS wasn't operative during inscripturation by definition, as people like White freely admit. The did operate under SS, as in manifesting Scripture as alone being the supreme standard, with its substantiated being what men of God were established by, even itinerant preachers whom the seat of Moses rejected. Sola prima alone is contrary to sola ecclesia. If you have another supreme standard, which Truth claim (even that the church is of God) must show conformity with, name it? As for sufficiency, that was more material than later, yet from the beginning Scripture materially provided for additional complementary writings being provided and recognized as being so, in conflation with what preceded it. Some RCs allow more could hypothetically be added to the canon. At the risk of pointing out the obvious, Guy's admonition is ironically reliant on that reportedly unreliable "private judgement" to assess whether one is in possession of a strong enough brand of Catholic Faith to withstand previously unencountered challenges. “We furthermore forbid any lay person to engage in dispute, either private or public, concerning the Catholic Faith. Whosoever shall act contrary to this decree, let him be bound in the fetters of excommunication. — Pope Alexander IV (1254-1261) in “Sextus Decretalium”, and still in force at the time when the the (my source) Catholic Encyclopedia was written [http://oce.catholic.com/index.php?title=Religious_Discussions]. Quinisext Ecumenical Council, Canon 64: That a layman must not publicly make a speech or teach, thus investing himself with the dignity of a teacher, but, instead, must submit to the ordinance handed down by the Lord, and to open his ear wide to them who have received the grace of teaching ability, and to be taught by them the divine facts thoroughly. St. Thomas Aquinas (13th century). "It means the hierarchical structure of Rome is invisible in the NT." There is indeed a hierarchical structure in the NT. Paul's letter to Timothy reveals 4 generations of Bishops. Again you fail to understand the argument. I already affirmed ordination of elders, but in context i was referring to "the hierarchical structure of Rome" as described. You seem to focus on "supreme exalted infallible". Is Jesus supreme exalted and infallible? Did he give this status to the Church that was going to speak for him, preserve his teaching and constitute his bride and body down through the ages after his Ascension? If not, why did Christ start a Church? What is it for? Who needs it? You seem to focus on ignoring what has refuted your argument time and time again and just moving on by repeating it. But which you cannot show was ever necessary before, as God always provided and preserved His truth, and faith and His own without an infallible magisterium, and even by raising up prophets from without it, and which is how the church began. And under Rome, as shown, the church of Rome can descend to a very sorry state, according to her own. How do you know there was to be no "such line". What does Church history say? Read the Fathers. Sure, you want to look at the "unbroken line" of popes? Lets do it, and see how many did not even gain their seat by the Biblical means, and were not even qualified to be church members in the NT. Rome confuses the NT church with the physical theocracies of the OT. Are you saying Paul ruled the universal Church? "in which James gives the definitive sentence,"
Why is it so difficult for you to see that the argument was the absence of the Roman papacy in the light of what Scripture actually says, and the absence of what would be needed for it to be what Rome makes it into? Where is this supreme infallible magisterium even in all the descriptions of the "better promises" of the new covenant in Hebrews? Where is even Peter? Or even corporate submission to him as the supreme head enjoined or made an issue in any of church epistles, or in the Spirit's letters to the churches in Rv. 2,3 with their many issues and needs? As for Paul, he was not pope but he certainly did or was many things things as if he was, or after the manner of things RCs invoke to support Peter as pope..
Peter established the infallible doctrine still binding today, that Gentiles can enter the Church as Gentiles. He established a doctrinal basis for the Gentiles entering the church, confirmative of what Peter had made appeal to, and thus James determined what should the churches should do. There simply was no other final definitive judgment but that, as Peter only appealed, to them to see what God has done by the evangelical gospel which provided it, and thus act accordingly, but did not decree, much less as "according to the authority I have." And which understanding of the Gentiles adoption Paul and Barnabas confirmed, as they were also reaching the Gentiles as being part of the one new man. Thus Paul's censure of Peter in Gal. 2. Again. Peter as a leader simply does not translate into the Roman papacy.